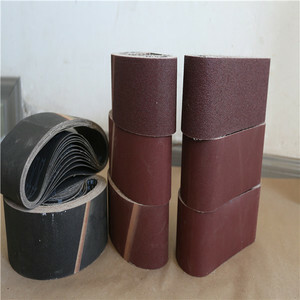 The abrasive belt sandpaper may in have the water or smooth gloss; Widely uses in grinding the putty coating. under the solvent condition, or nonmetallic carries on the fine processing to each kind of metal, causes the job . This kind of product has water resistant, is wear-resisting and so on the merit, has received thedomestic and foreign users' favor. 1.Specification All sizes can be made as per your request. 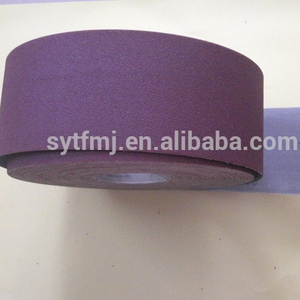 Waterproof and oil proof,can be used in dry or wet grinding. 2). H igh strength and toughness, Wear tear resistant, longer life 4). Zhenjiang Pangea Imp. & Exp. Trade Co., Ltd.
stock is available for wood applications and fasttrack service is used for all other applications. ,Ltd is located in the industrially developed region, Nanhai District, Foshan City, Canton, China. we are a professional abrasive products The company was established in 2005, one branch of Henan Libaolong Abrasive Industrial Commercial Co.
Place of Origin: Suzhou China (Mainland) Brand Name: 3Q Model Number: TA133X Material: alumina Usage: Metal,wood,stainless steel etc Abrasive Grain Sizes: 40#---600# brand name: abrasive cloth belts Size: ANY SIZE BELTS Type: TA133X X-WT Coated Abrasive Cloth material: alumina color: red Max of width: 1400mm Max of length: 3500mm resin: Resin and resin Grain: 400#---600# Advantage: Competitive price Packaging Detail: Carton packaging Delivery Detail: 15 TA133X X-WT Coated Abrasive Cloth Model : TA133X Grain: Aluminum OXIDE Application: For metal,wood,stainless steel etc. Usage: for belt. 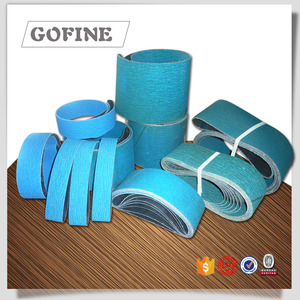 Backing cloth of the abrasive coth roll : X-WT,Polyester and cotton Suitable for flap wheels,good performance in grinding,long life. Sichuan Jianzheng Technology Co., Ltd.
according to the supper size coating, so it has a very nice heat distribution to avoid burning the surface of the workpiece. 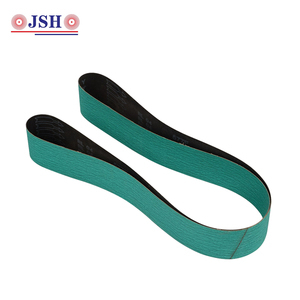 the rolls can be converted into different size of belt to meet your requirement. pls contact with me, i can tell you more information about this perfect product. ,Ltd is a professional trading company specialized in abrasive ,located in Yantai City,Shandong Province. In addtion,we focus on the innovation of abrasive tools and can supply any abrasive tool you want. Where is your production base9 - Our factories located in Yantai city ,Shandong province . 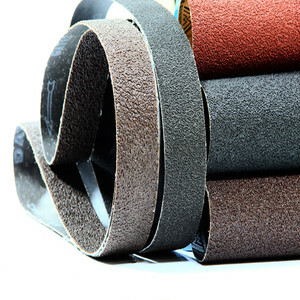 Alibaba.com offers 1,343 emery belt products. About 42% of these are abrasive tools, 11% are abrasives. 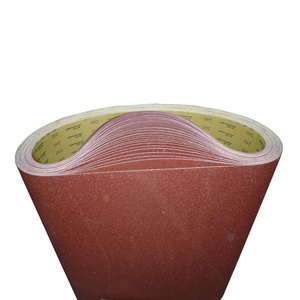 A wide variety of emery belt options are available to you, such as sanding paper, abrasive disc, and abrasive block. You can also choose from free samples. 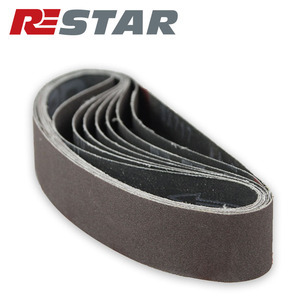 There are 1,269 emery belt suppliers, mainly located in Asia. The top supplying countries are China (Mainland), Pakistan, and India, which supply 99%, 1%, and 1% of emery belt respectively. Emery belt products are most popular in Domestic Market, North America, and Southeast Asia. You can ensure product safety by selecting from certified suppliers, including 120 with Other, 118 with ISO9001, and 63 with ISO14001 certification.